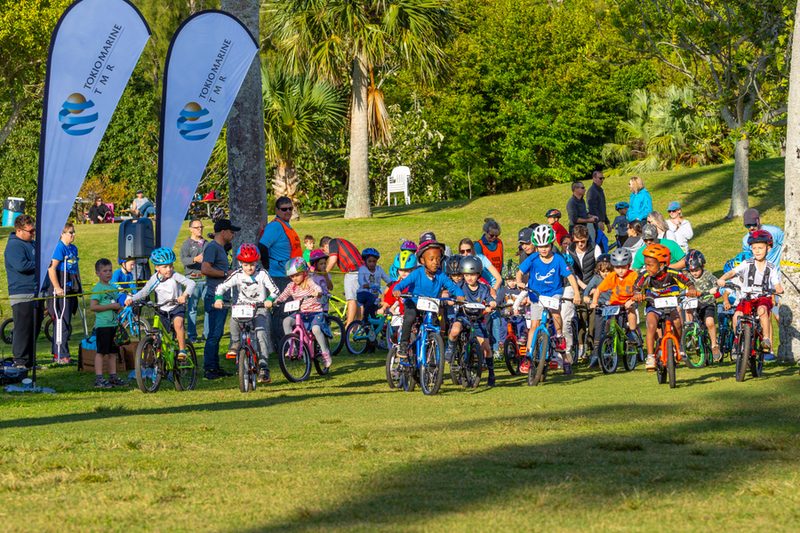 Tokio Millennium Re held their final Youth Mountain Bike Series this past weekend, in partnership with Bicycle Works and the Bermuda Bicycle Association [BBA]. 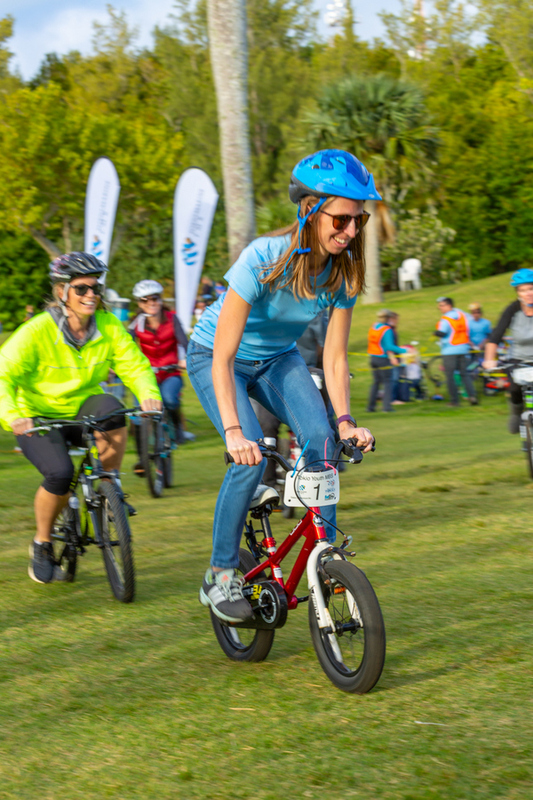 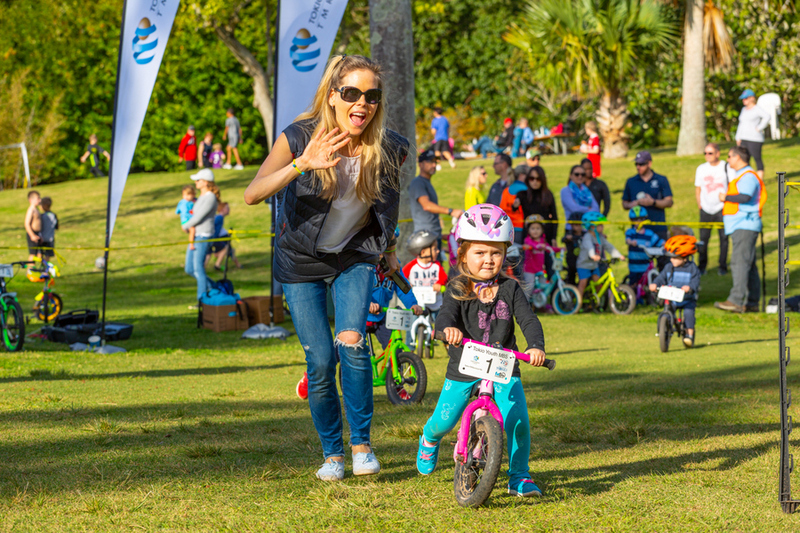 The last event in the series always finishes with a raffle and a parents’ race where they have to ride their children’s bikes, making for an amusing race and a fun way to round off the series. 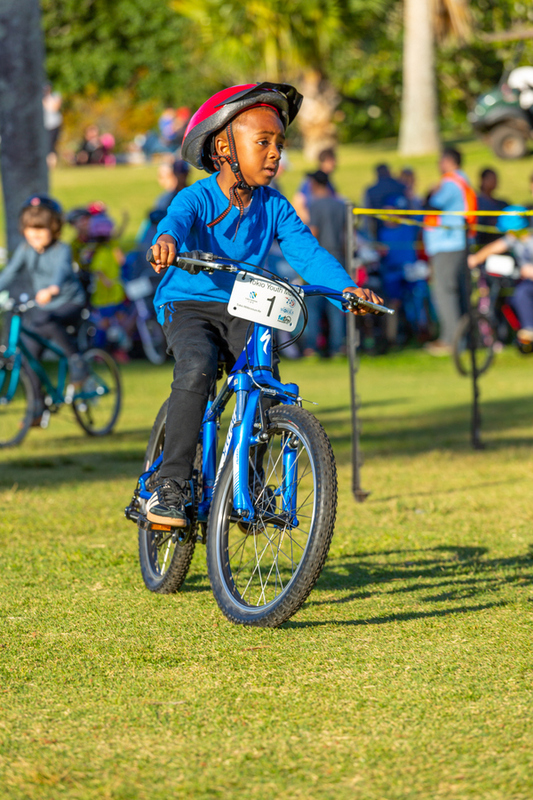 Freddie Jones of Saltus Cavendish was the proud winner of the Bicycle Works-sponsored $400 voucher for a brand-new bike – always an exciting ending to the series. 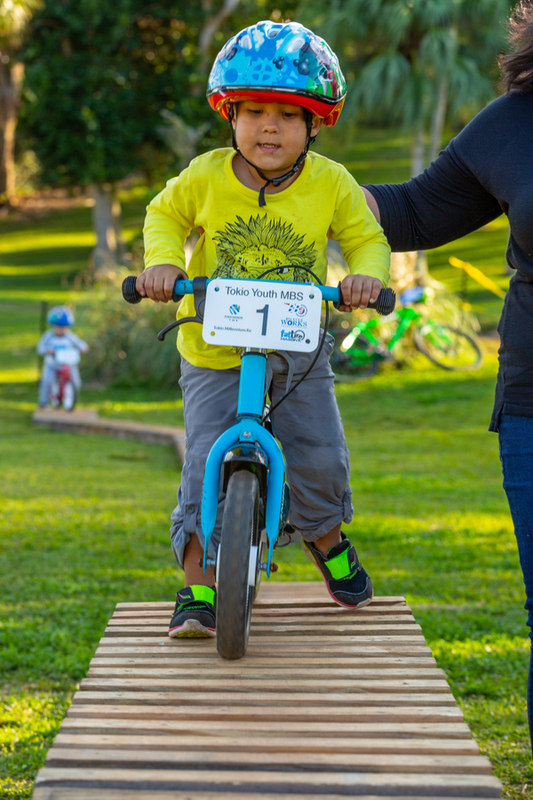 Children ride a short course in the Arboretum dependent on their age group, and bikes from striders all the way to high-end mountain bikes can be seen. 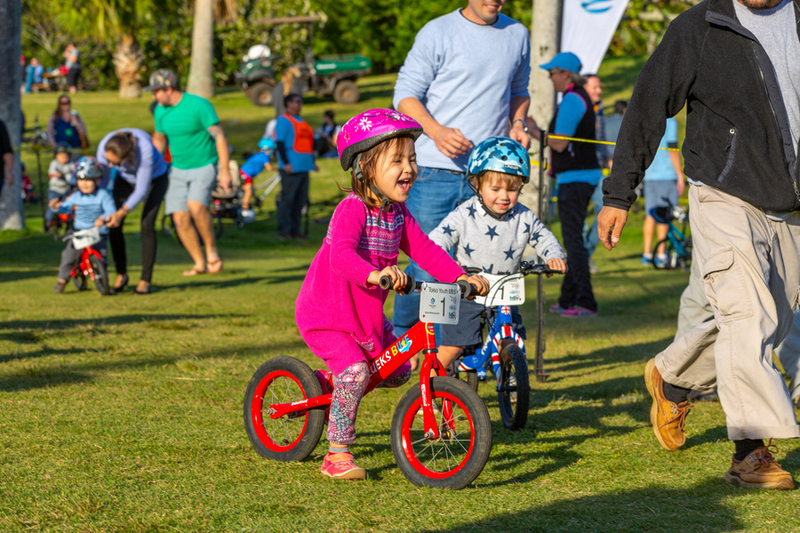 The format has always been the same, with a racecourse designed to challenge the older riders while also being safe for the younger children. 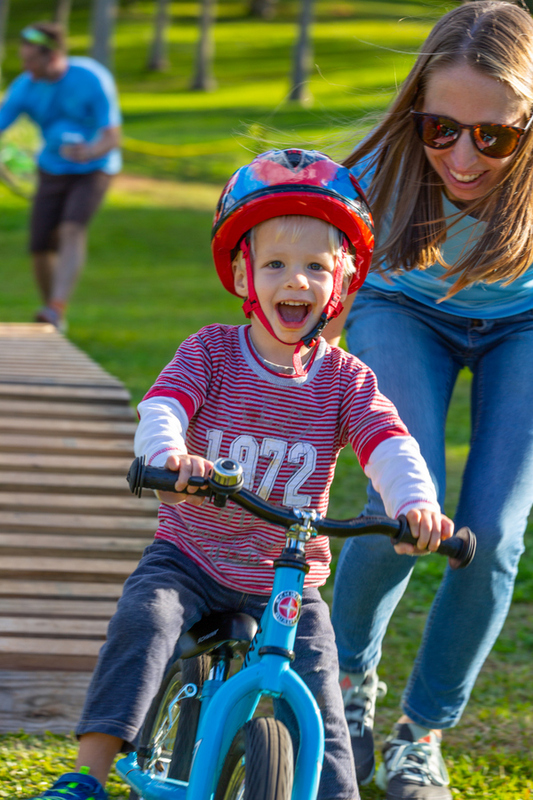 There is also an obstacle course, which was rebuilt this year with the help of Dennis Cherry, where the children can test their skills on the narrow ramp. 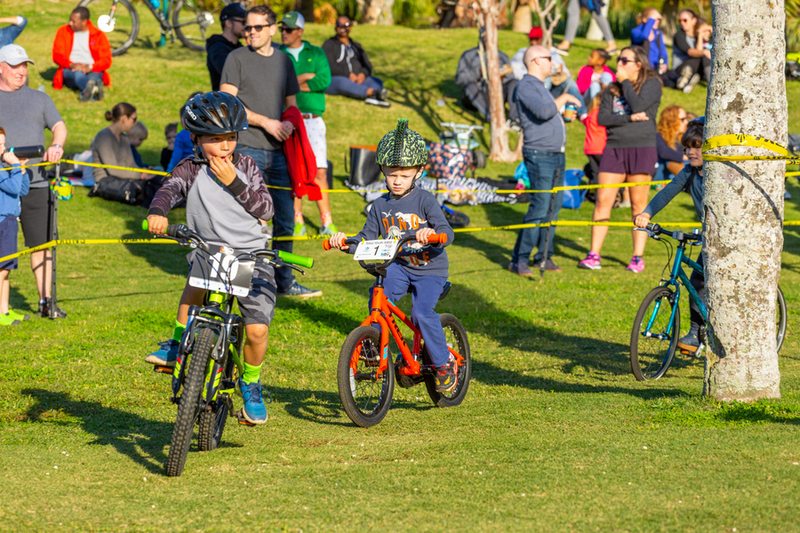 The idea for the Mountain Bike Series originated from discussions within the BBA on how to get young children interested in cycling. 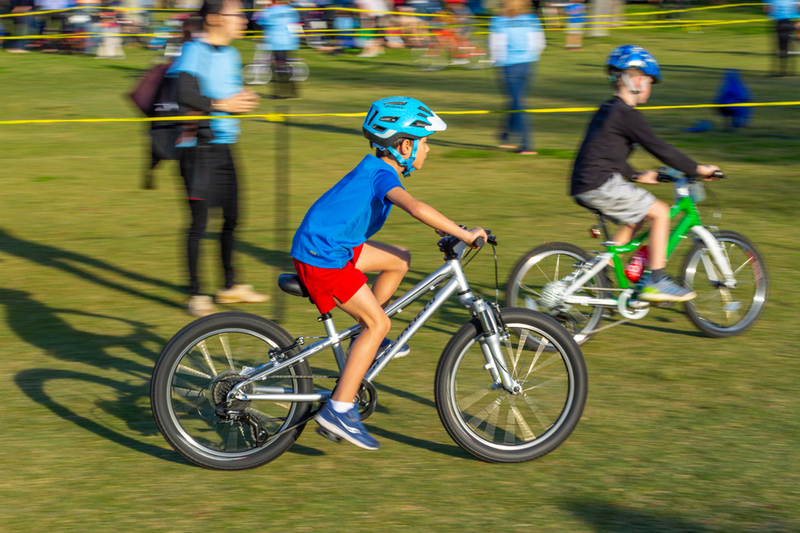 Ed Jordan, from TMR, Neil de Ste Croix, from Bicycle Works, and Garth Thompson, who was a PE teacher at Francis Patton Primary School, organised the first series in 2007. 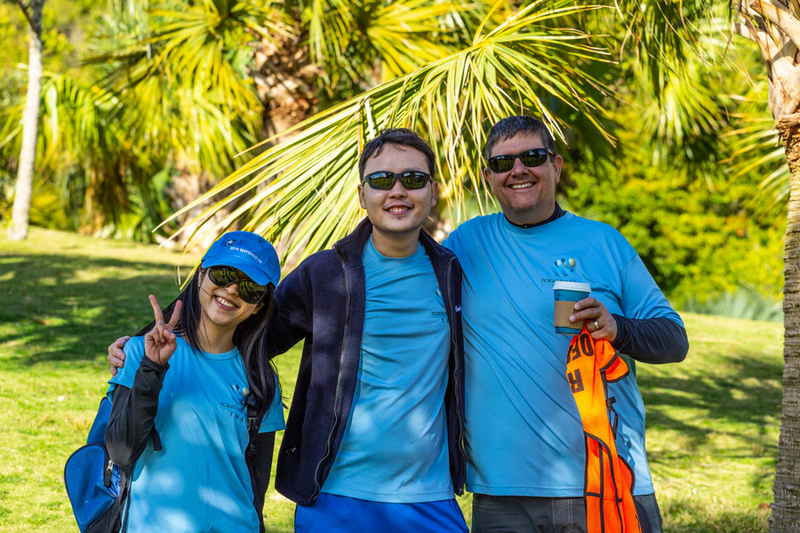 TMR supported the event from the beginning by funding the event and provided the staff volunteers so it would be free for the children. 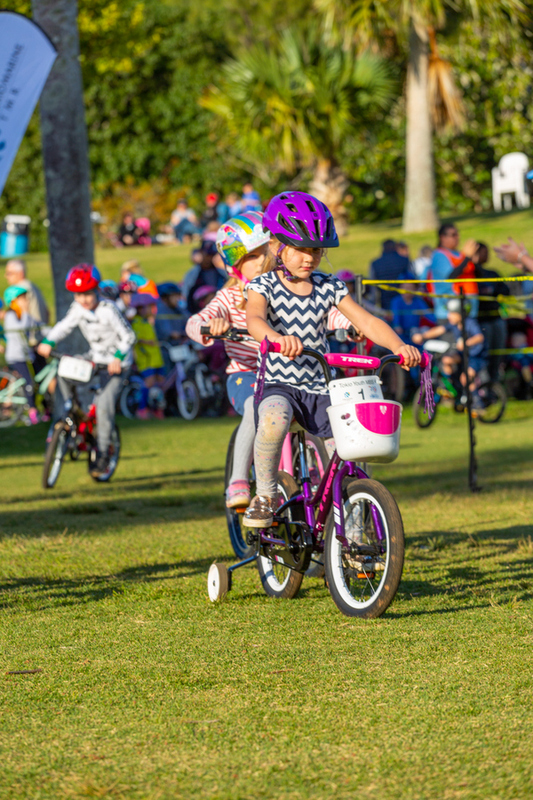 Bicycle Works has also supported the event from the beginning, providing raffle prizes and organisation. 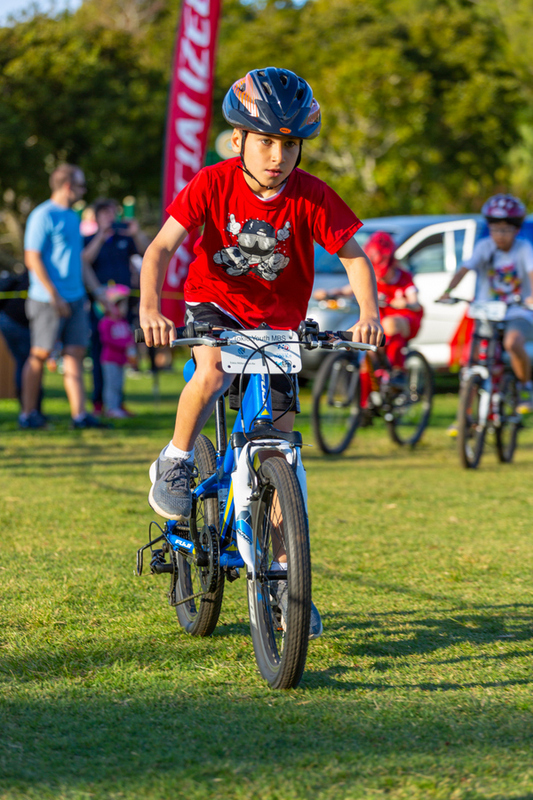 Jordan commented that his favourite part of the event is seeing how within a few events children’s confidence grows as they get more comfortable on a bicycle and improve their handling skills. 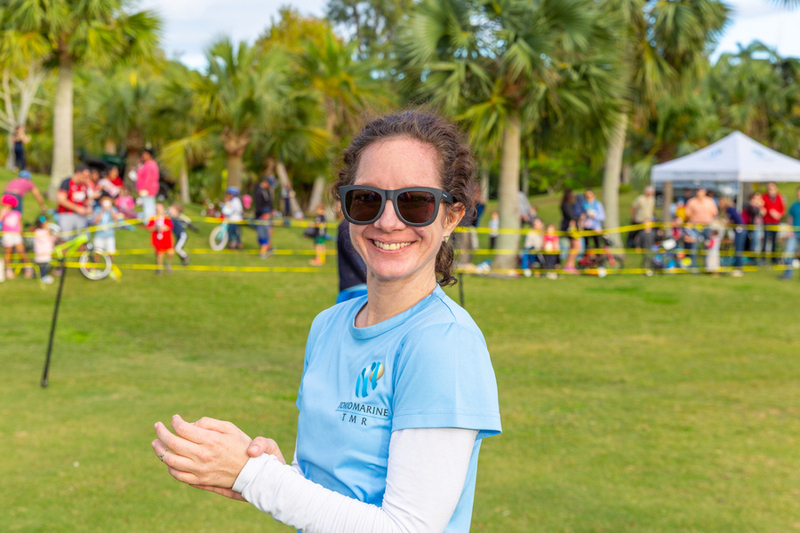 TMR said they would like to thank Francine Trott and her team at the Parks Department, and Buzz for bringing the hot beverages, and extended a thank you to all the TMR volunteers and their families, and especially to the parents for bringing their children out each week to participate. 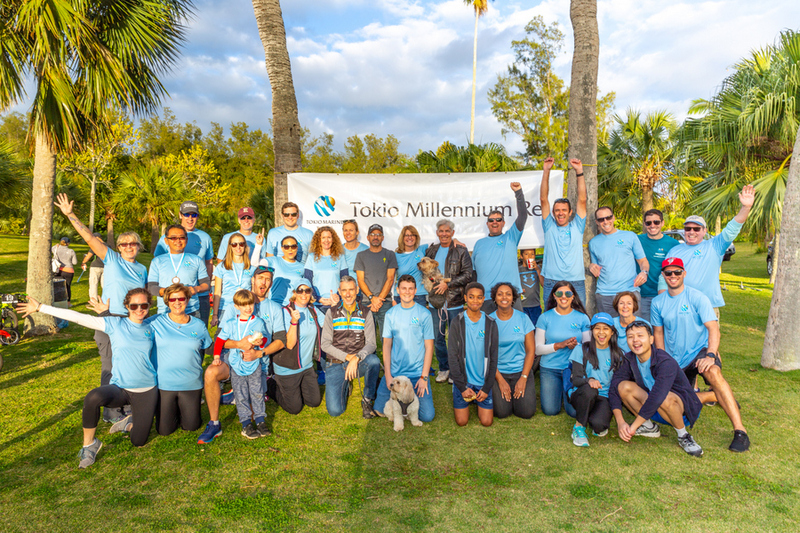 Kathleen Faries, the Head of TMR’s Bermuda Branch remarked, “On behalf of TMR, and especially the countless staff that have volunteered their time over the last 12 years it has been our privilege to put on this event for the community. 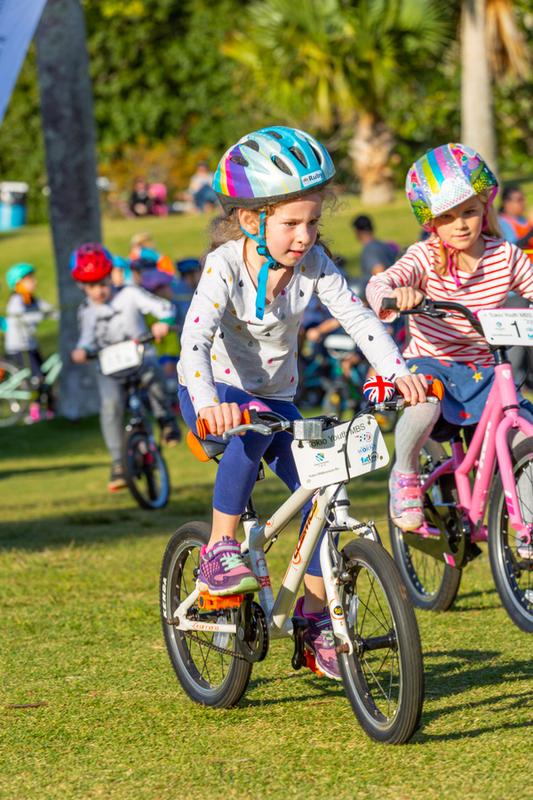 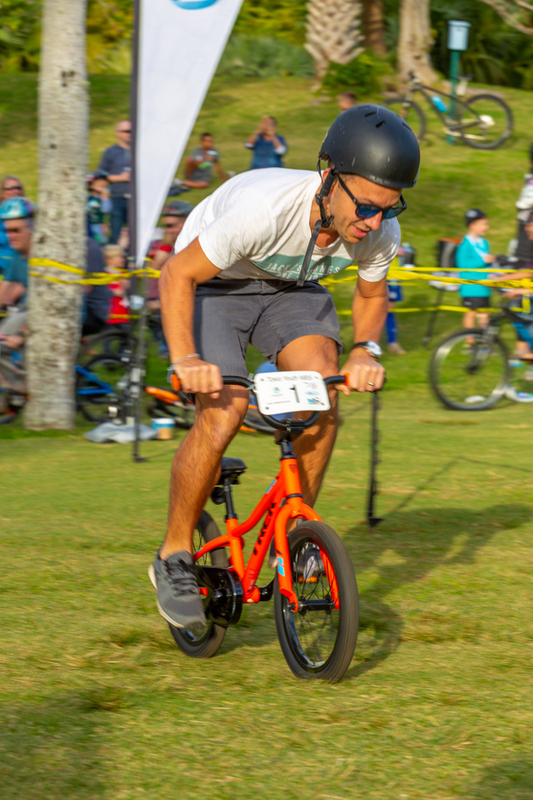 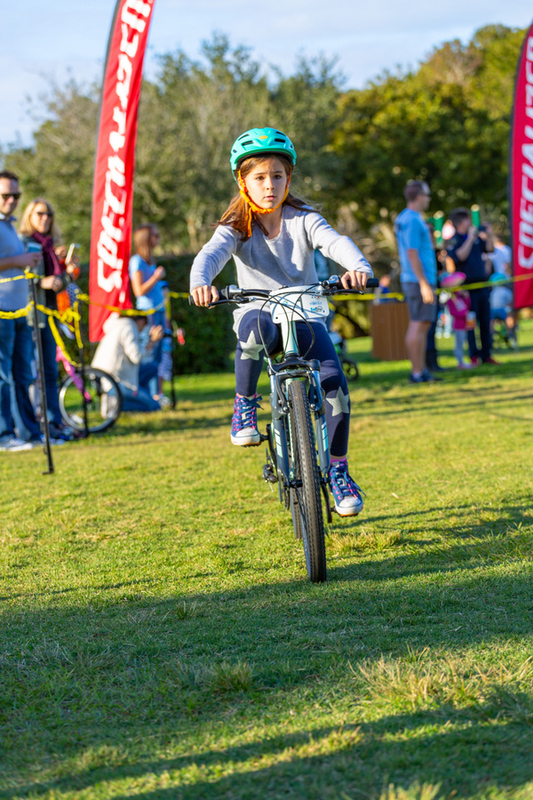 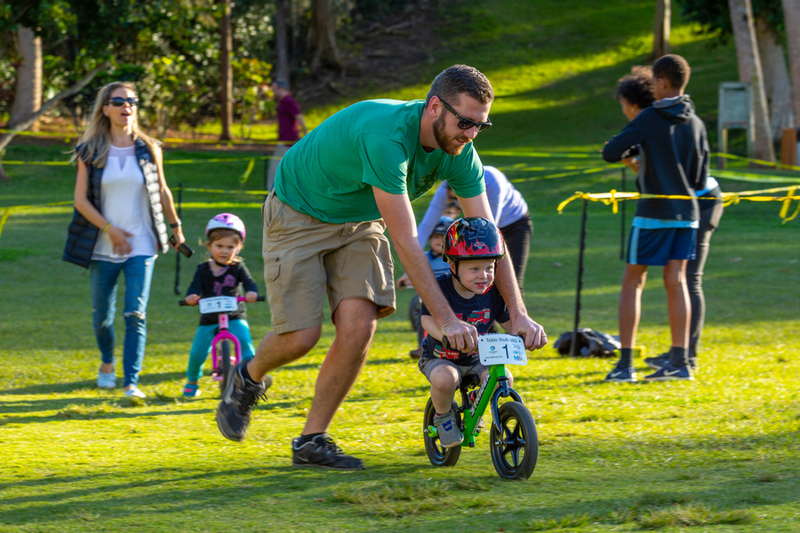 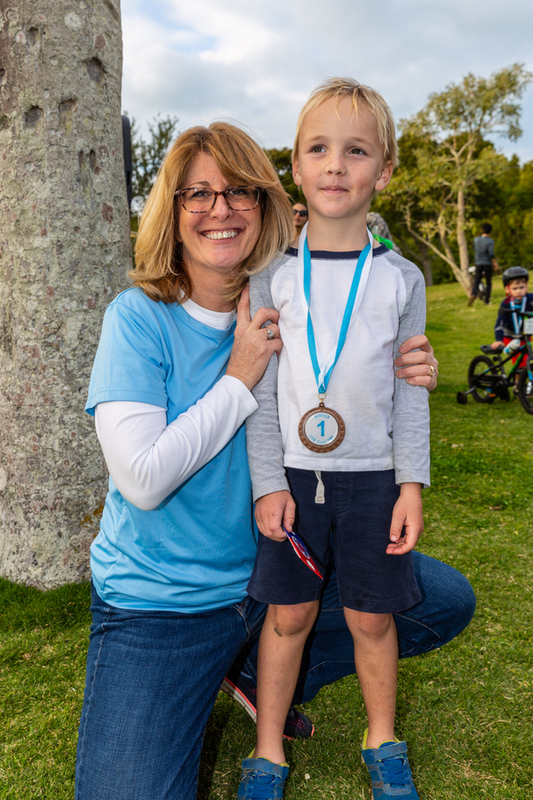 “It has been so much fun to see many of the kids come to their first event on a balance bike, then training wheels and ultimately after a few years, racing confidently and assertively around the track. 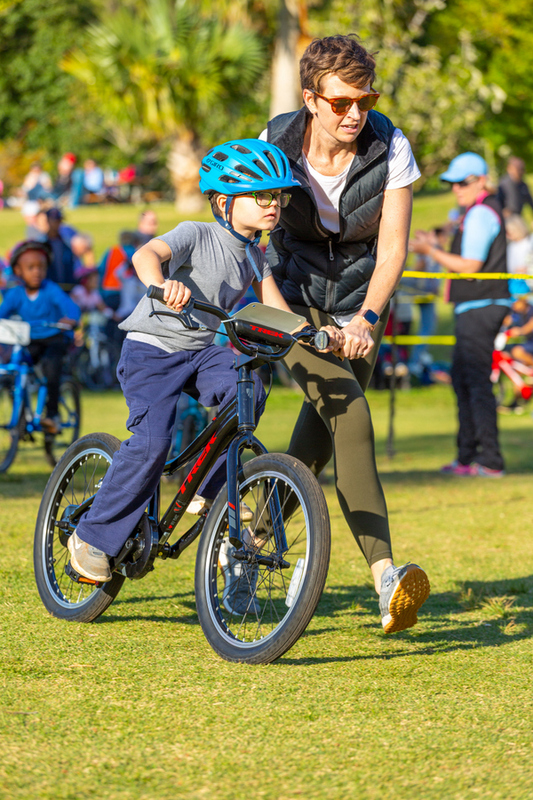 It has also been an enjoyable place for parents to get together and socialize over a cup of hot chocolate. 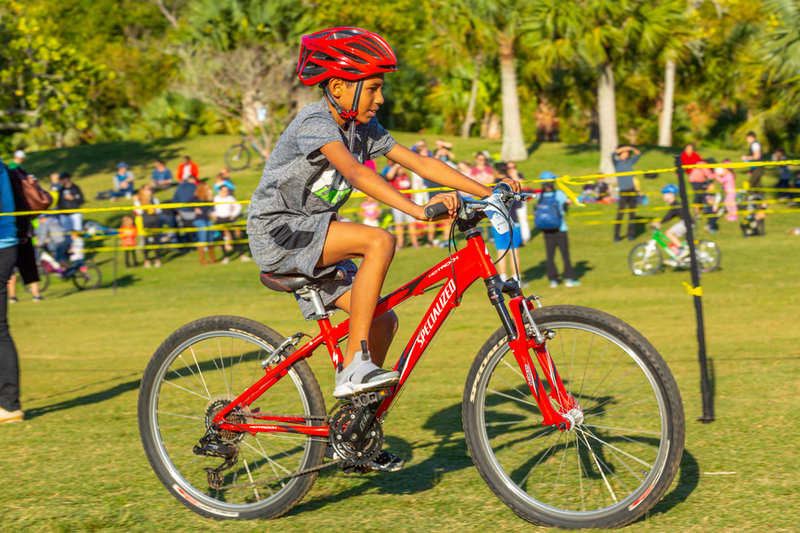 Great event – one of many TMR does. 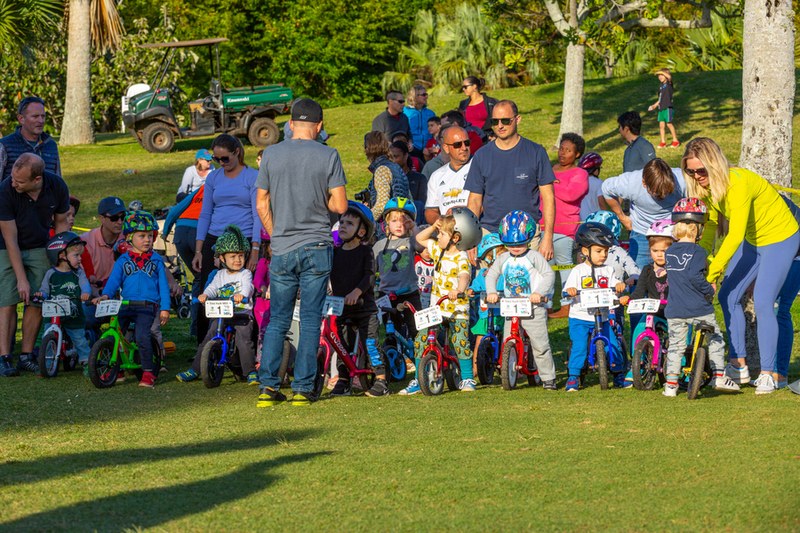 will they carry on under RenRe?